Crockpot recipes are usually outstanding. Very rarely do I come across a recipe that I do not love! They allow you to save money by using cheaper cuts of meats, add vegetables to your heart's content, and encompass almost any type of food that you could imagine cooking! 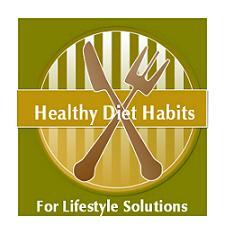 Collecting your favorite recipes or purchasing a new specialty cookbook is a healthy diet habit! For the benefits of cooking with a Slow Cooker and to see my recommended Slow Cooker's, please check out my Slow Cooker page! The low setting on your slow cooker, cooks food around 200 degrees, and the high setting cooks food around 300 degrees! One hour on high is equal to two hours on low. Usually recipes will give you two cooking times for the setting you choose, but sometimes they don't. Most recipes can be cooked on low or high. Frozen foods should be defrosted before being added. They will slow down the cooking process if they are added in the frozen state. If you must add them, cook your food on high for the first hour, and then lower the heat. Fill your Crockpot one half to two thirds full always. If you fill them fuller, they will not cook properly. If you do not fill them at least half full, they will cook too quickly. Follow the layering instructions carefully in your recipes. Foods cooked on the bottom of your cooker will cook the quickest, plus they are cooked in the liquid, which makes them moistest. Vegetables do not cook as quickly as meat, and are usually placed on the bottom in the liquid. This is especially true of carrots! All fat should be removed from meat. Remove chicken skin, and cut off extra fat. If you don't do this, your meal will be slimy and gross! Many meats, especially ground meats, are browned on the stove first. This does make a difference to the end product, so do not skip this step! Most meats require 8 hours of cooking on low! Do not lift the lid on your Crockpot during the cooking cycle. You will need to add 20 to 30 minutes to your cooking cycle for each time the lid is opened, because the heat is lost. This is my one peeve! My husband can't stop taking the lid off, to see how the meal is progressing! If you jiggle the lid a bit, you can easily see your meal! Follow the cooking instructions completely, as recommended on your Crockpot recipes. If a recipe calls for you to add ingredients during the last hour, there is a reason for that. Many vegetables can overcook, and only need to be added the last hour, like zucchini, pumpkin, tomatoes, cabbage, and herbs. They need only a few minutes at the end of the cooking cycle. Many dairy products are added right at the end too. Spices tend to lose their flavor after cooking so long, yet few recipes recommend adding them later in the cooking process. I either double or triple the spices in the beginning, or add the spices the last hour. This will make a huge difference to the meals' taste! Meals made in the Crockpot do not require nearly as much liquid as stove top cooking because liquid is not lost. If you are using a traditional recipe, cut the liquid in half, unless you are making a rice, noodle dish, or soup. It is best to follow a few Crockpot recipes first to learn about Crockpot cooking. Once you figure out the process, and learn which vegetables need more or less cooking time, you can dream up your own new Crockpot recipes! Soups, Stews and International Cuisines, made in the slow cooker are outstanding. My favorite Crockpot recipes are from a cookbook called, Fix-It and Forget-It Cookbook (Feasting with your Slow Cooker) by Dawn J. Ranck and Phyllis Pellman Good. It is a compilation of recipes from many people. There is also one in the series that is called, Fix-It and Forget-It Lightly (Healthy, Low-Fat Recipes for Your Slow Cooker). I have both and love them! Crockpot recipes allow you to produce quick, healthy, fragrant meals that taste great! Food is meant to be enjoyed! This type of cooking tastes like the food that your Grandma produced back in the day! Pick at least one day a week to experiment with your slow cooker and try as many new Crockpot recipes as you can this year! If you find one that is outstanding, send it in to share, and I will post it for all to enjoy!